2. Calvin Klein Push Up Bra: There are amazing reviews on the web for this bra so I am guessing it is fantastic. I love the red colour and it looks very comfortable. It is quite affordable as well, looking forward to trying it. You can get this at House of Fraser. 3. 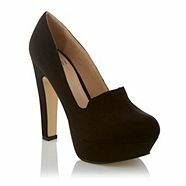 Faith Black Suedette High Heeled Almond Toe Platform Court Shoe: I love the chunky high heels and almond toe. They are gorgeous, looks like I will be getting this soon. They will be so comfortable, that I am sure of. You can get this at Faith stores or at Debenhams. 4. Brushed Cotton Jacket by Kenzo: Here are the Editor’s notes for this jacket – Utility chic is a mainstay on the runways and Kenzo‘s brushed cotton jacket is the perfect way to work this never date trend. 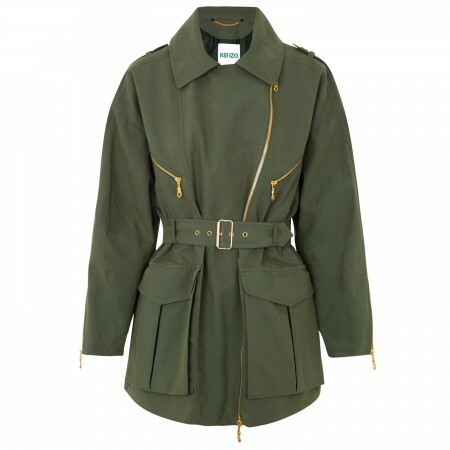 Molten gold embellishments flatter the military green hue, whilst the oversized silhouette keeps your look modern and fresh. Slip it over a mini skirt and cinch the waist for a contemporary take on classic feminine style. 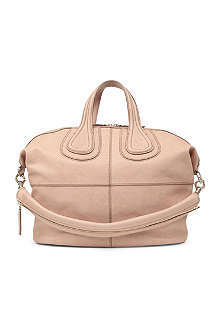 This will be so perfect for the spring weather, I lust after it. You can get this jacket at Harvey Nichols. 5. . 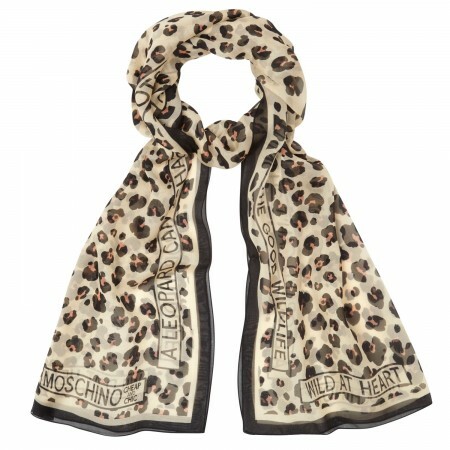 Printed Silk Chiffon Scarf by Moschino Cheap and Chic: This leopard and text print scarf is a February lust have. It is perfect for spring and it is 100% silk, now that’s quality. You can get this at Harvey Nichols.